Visitors will experience the track through the building as a rhythm of movement and rest. 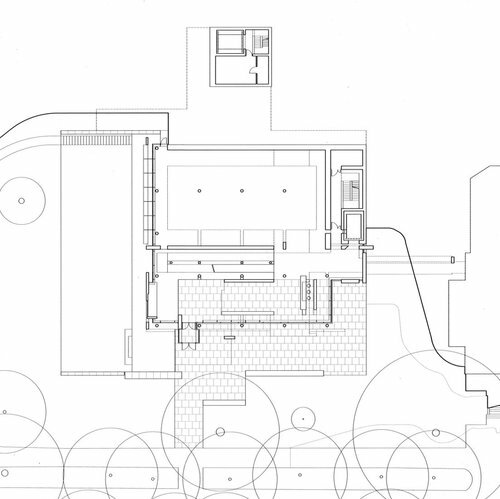 The walk through the building to be interrupted by stop effects and counter-axes, where the slope of the ramp meets the access to a gallery space. 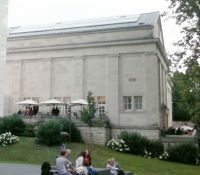 One enters through the green strip with trees of Baden Baden in Baden-Baden, the three-story museum building through the main entrance to the east of the central walkway through the park. On the first floor a glass bridge connects the building with the ground floor of the Kunsthalle. 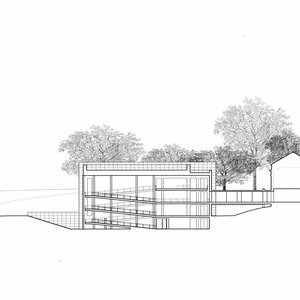 This bridge is tuned to affect the character of the existing Kunsthalle as little as possible. 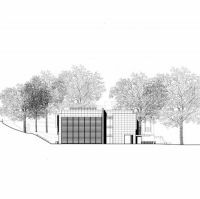 The Museum Frieder Burda sees itself as an independent museum and at the same time as the partnership complement the Kunsthalle. Therefore, can the glass connection open between the buildings and close. 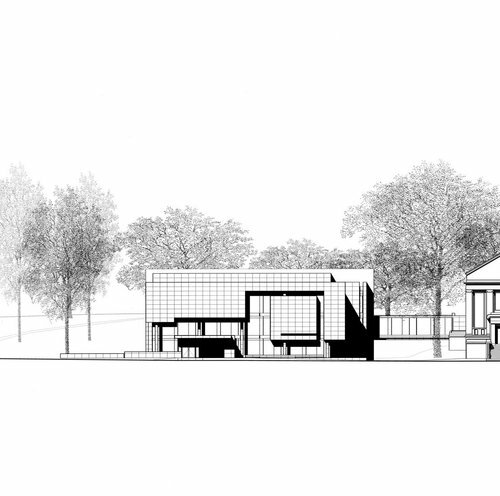 A low-lying Bailey includes the building on the south facade and stresses in an unusual way to connect the museum to the surrounding countryside, the quiet, peaceful light Allee. Visitors walk through a light-flooded atrium, through the lobby and a generous transverse ramp system that extends over four floors and one floor above is with the bridge connection to the art gallery on one axis. Together with the adjacent elevator granted the ramp access to a second big, lying across the hall on the ground floor gallery space as well as additional exhibition spaces in the basement and the mezzanine floor, a mezzanine floor from which one overlooks the entrance area. The large ramp are formally seen from in front of the motif of a spiral sequence. 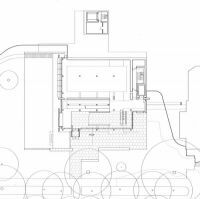 The ramp can be understood as an event within the construction, which results in more than a picturesque a sequential element in the spatial whole. 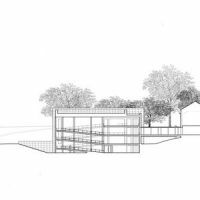 Visitors will experience the track through the building as a rhythm of movement and rest. 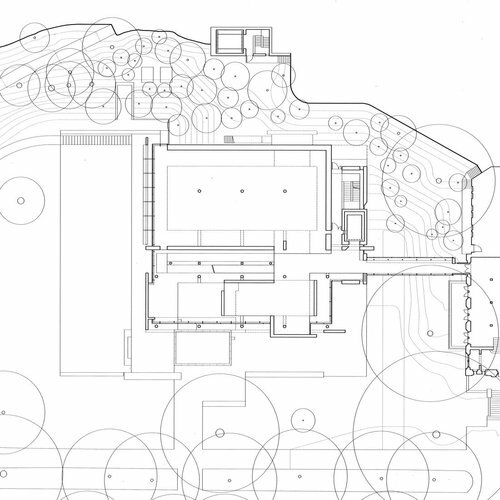 The walk through the building to be interrupted by stop effects and counter-axes, where the slope of the ramp meets the access to a gallery space. 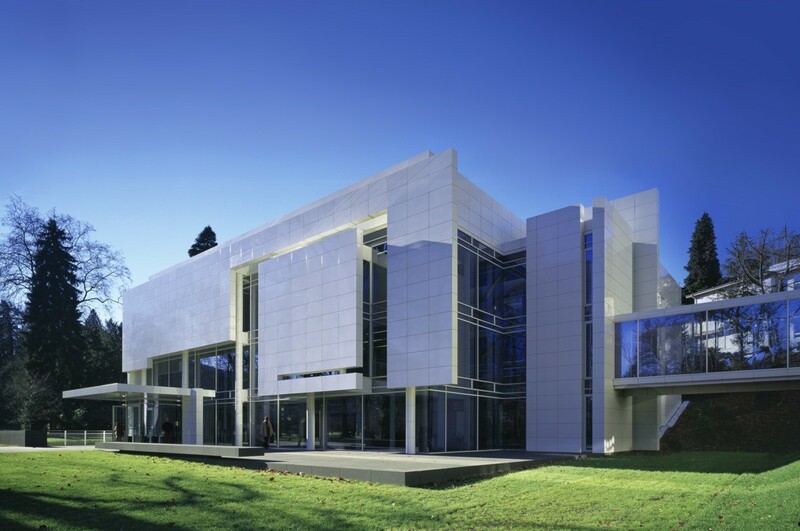 Modern Architecture examines how light behaves in the room and the people, the architect Richard Meier says of his building. The revolutionary potential of modernity is especially evident in such works, the uncompromising use technology to the point of illusion. 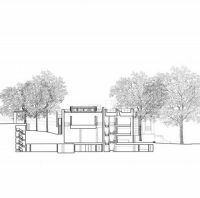 The Frieder Burda Museum is a modern building and at the same time it is casually associated with a picturesque garden and is pedestrian friendly in a place of human dimensions. 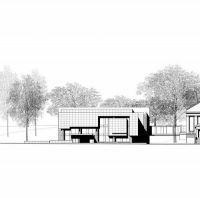 The design called for a new museum for art of the 20th and 21st century, which fit into the unique parkland at the light Allee and at the same time should harmonize in its proportions with the adjacent Staatliche Kunsthalle Baden-Baden. 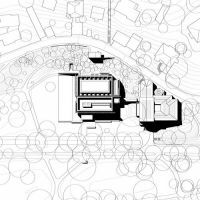 Great efforts have been made ​​to preserve as many trees on the site, so that the Museum Frieder Burda could incorporate as a matter of course in the surrounding nature. 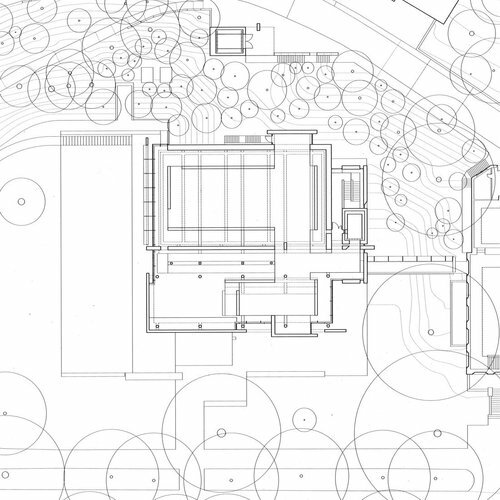 Shape, lines and dimensions of the new building correspond in their entirety with the floor heights and the pediment of the Neoclassical Kunsthalle, both institutions maintain their own architectural identity. The building in Baden-Baden is reminiscent of the Museum of Applied Art in Frankfurt a / M, which was built by the same architect. 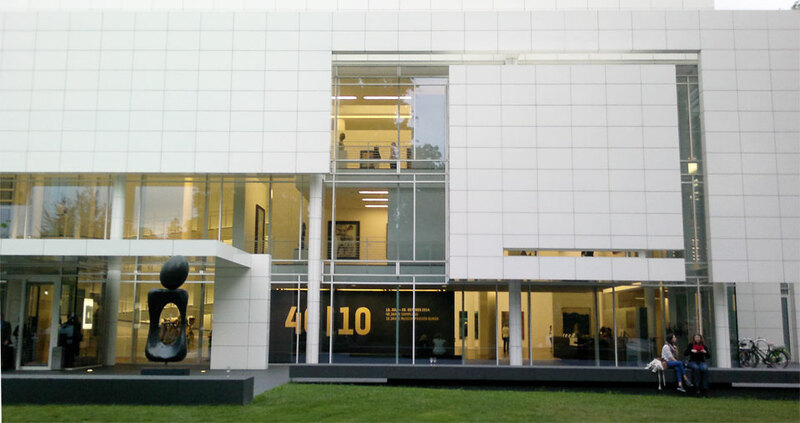 Contrasting held in the same white as the architectural critic Wolfgang Pehnt in the catalog of the exhibition "40 Years 10 years collection Frieder Burda Museum" describes. The new building is in partnership complement to the historical Nachbarschaftsbau. A similar situation is also found in Frankfurt. Both are selected places that have a bonus of trust and with which only a man can deal who is interested in the History. 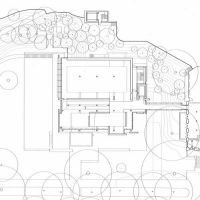 Often it is the groups of trees or nature in the area, come to the architect at work to help. 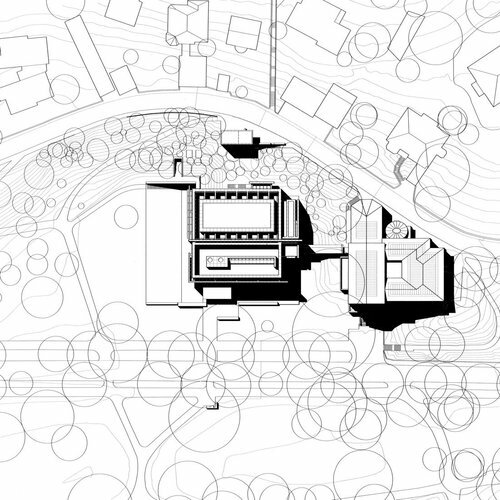 The question is, what does that mean for an idyll that harmonizes with the buildings and should be included in planning. 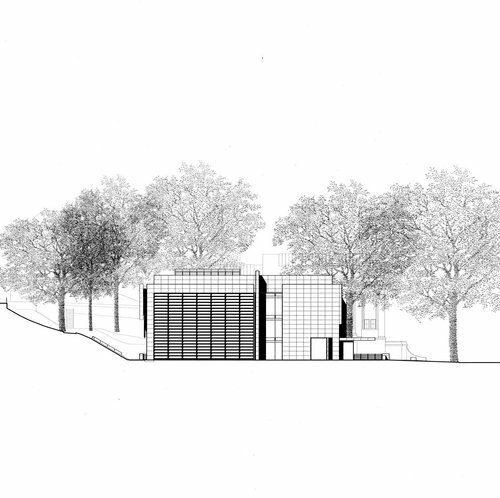 Because Richard Meier's architecture always keeps her own head. 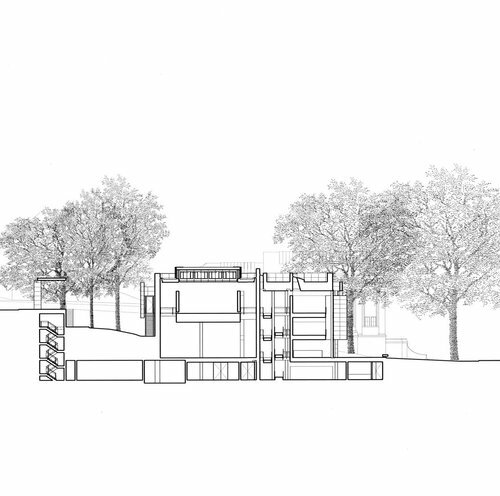 Hence, his buildings solve the historical and exist as idiosyncratic imaginary construction further if these also largely representative nature remains. 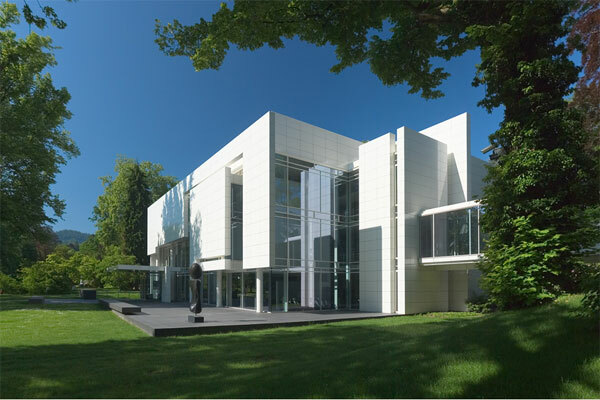 A long strip of park-like gardens, the light Allee, with hotels, casino and other prestigious institutions of Baden-Baden is the place where the modern Frieder Burda Museum. The facades of the surrounding area are mostly from the 19th century and have French influences. Stately spreads out over the buildings that have been preserved. Numerous restaurants intersect with sidewalk cafes. The audience in a relaxed mood is until the late evening hours on the road. The Russian writer Fyodor Dostoyevsky lived for a while in Baden-Baden to there to shake off his gambling debts from Russia. 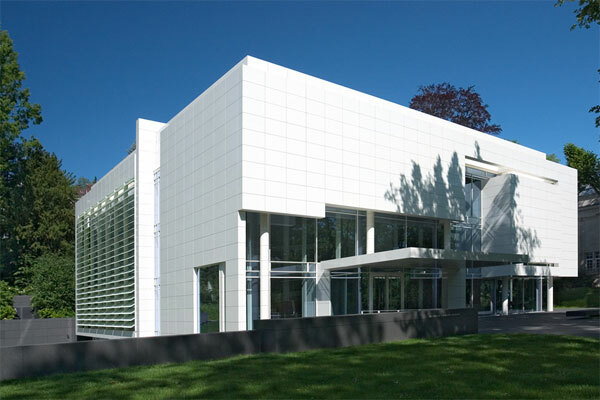 The architecture of the Frieder Burda Museum is the most modern. 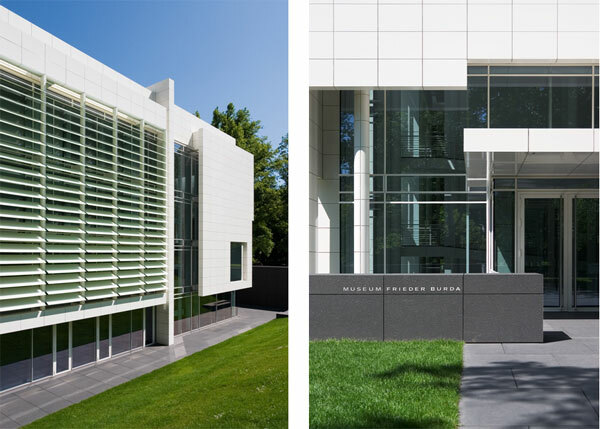 Although outweighs the postmodern facade, a new construction of the constantly reminded of the varied architecture of Richard Meier, such as the MAK museum on the banks in Frankfurt a / M, with its transitions. An internal bridge the square building is connected to the historic Kunsthalle from the 19th century. In the large neoclassical hall on the first floor of the Kunsthalle in addition to other objects hang the works of Pop Art artist Sigmar Polke and Gerhard Richter those who partly abstract, partly representational support the importance of the collection Burda only for the best. On July 11, many art lovers regional and national nature were present and heard the two speakers of the evening, curator Helmut Friedel and the Dane Johan Holten, director of the Kunsthalle at the opening carefully. Sigmar Polke often worked with hatches and put a stencil, while Gerhard Richter, among other techniques, photorealistic paints a Georg Baselitz from 1966 hangs stylishly between full-size. Wall Frame an Anselm Kiefer is mounted on full width. Rare works of art that are not accessible in many museums. Against the background of a spa town, the Frieder Burda Museum provides just the right ambiance and required to keep the audience in the mood. 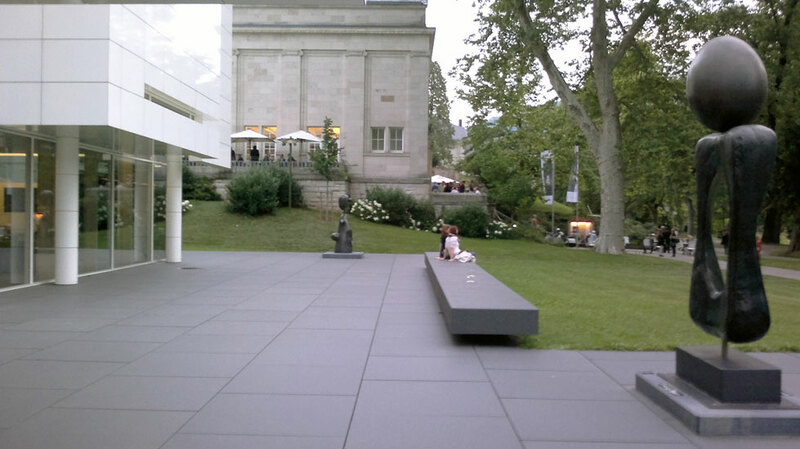 Other places that are comparable and lie in the open, the Fondation Beyeler in Riehen near Basel. There are regularly held spectacular and less spectacular for that unique exhibitions. The progressivity of the exhibitions is emphasized in Riehen. 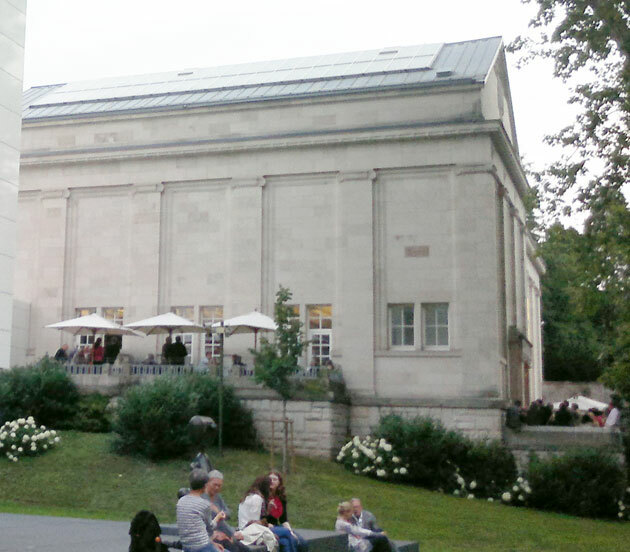 The Baden-Baden are on a South German hospitality, so that the Frieder Burda Museum, The State Art Gallery will hold its own in the international museum culture ranking with certainty. For a comprehensive exhibition catalog was published, which includes an interview between curators Götz Adriani and Frieder Burda. The hardcover edition of Hatje Cantz Verlag comprises 336 pages with numerous color images of objects located in the museum of art. Where access to advantage in the illustrations excellent works that are not so much struck by the museum visit. Among them are the works of Anton Henning, Mark Rothko, Jackson Pollock, Adolph Gottlieb, Clyfford Still, Willem de Kooning, John Chamberlain, Neo Rauch, Tim Eitel, Herbert Brandl, Bill Viola, and many others. On the book cover the adaptation of the Neuschwanstein Castle is pictured after an oil painting by Gerhard Richter, which always is synonymous with romantic castle architecture. Connected to the catalog are brief biographies of all the artists in the collection. 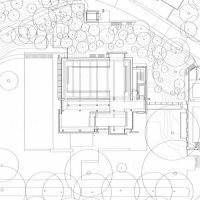 The architecture critic Wolfgang Pehnt also wrote an essay with the title: "The White on White is never quite know Richard Meier's house for the collection Frieder Burda.". A phrase which is similar to the linguistic style of a Rémy Zaugg by just being told what the viewer can already be seen on the object and therefore it no longer is already aware. The exhibition is part of an extensive cultural program. The German railway offers a savings price from 39 euros in 2nd class and 49 euros in 1st class to the cultural discount for round-trip to and from Baden-Baden, within three days. The sixth class of the project Werkrrealschule Lichtental takes audio experiments. Here, an auto-Guide is developed, the objectives are to raise the younger 6-12 years, the exhibition narrative and audible in a playful manner.